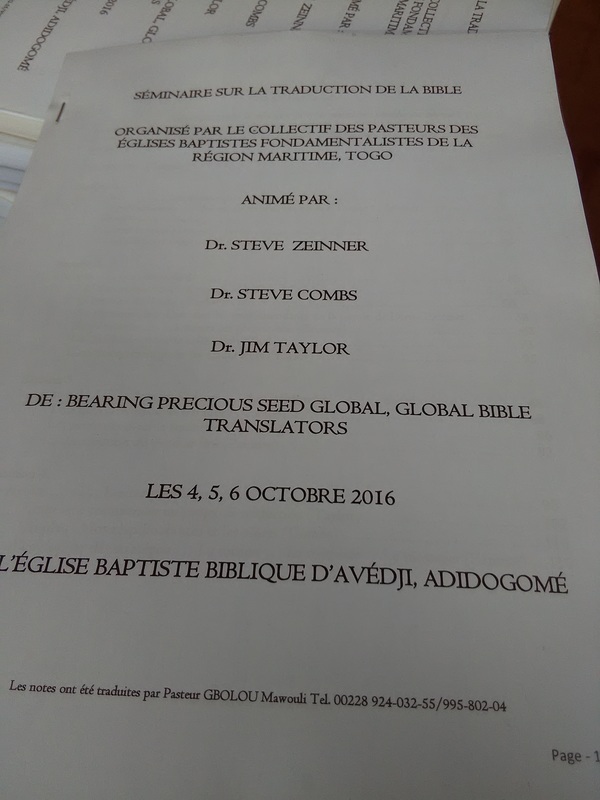 On September 30, Steve Zeinner and I flew away to Togo, West Africa. 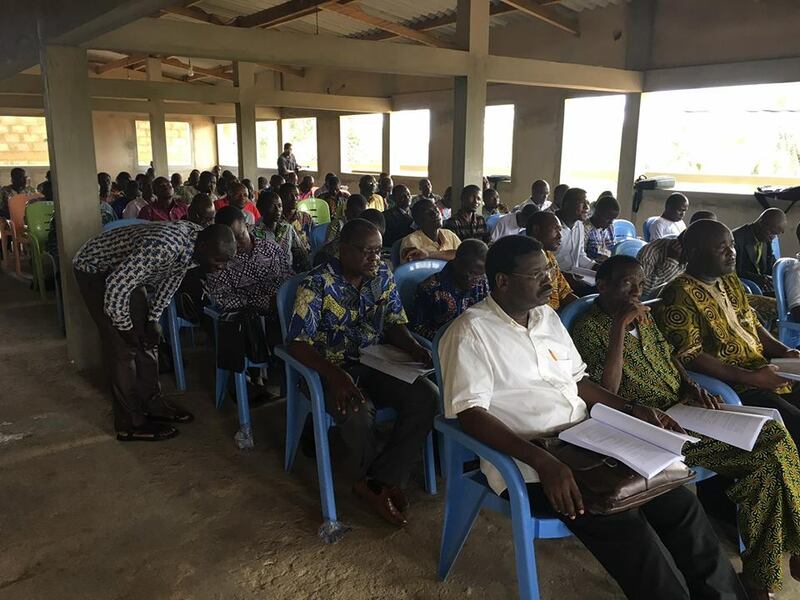 We held a translation conference for church leaders to encourage them to commit to a translation project in the Ewe language. The conference was held October 4-6. We were joined in Togo by Jim Taylor, a missionary and translator in Korea, who also works with us as a Translation Advisor. 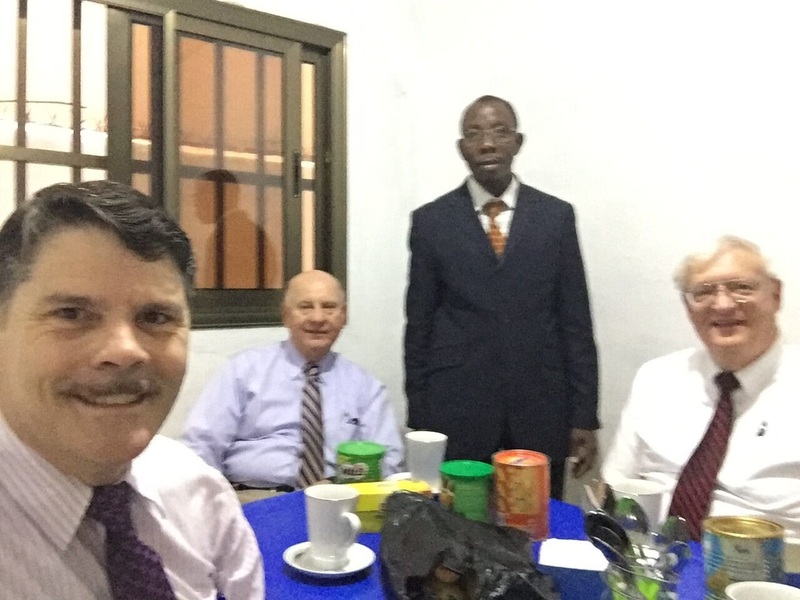 We were invited to Togo by GBOLOU Mawouli, Pastor of the Salvation for All Baptist Church in the capital city, Lomé , Togo. We prepared our notes several months ahead and sent them to him. Pastor Mawouli translated them into French. In appreciation to him, Dr. Zeinner presented him with the 2014 revision of the Ostervald French Bible. There are over 3,900 languages that have no known Scripture. In Africa alone there are 1,182 such languages with a population of about 89 million. Unfortunately, there are few volunteering to become translators. We’ve come to the conclusion that in the future a lot of the new translators will come from Africa and Asia. 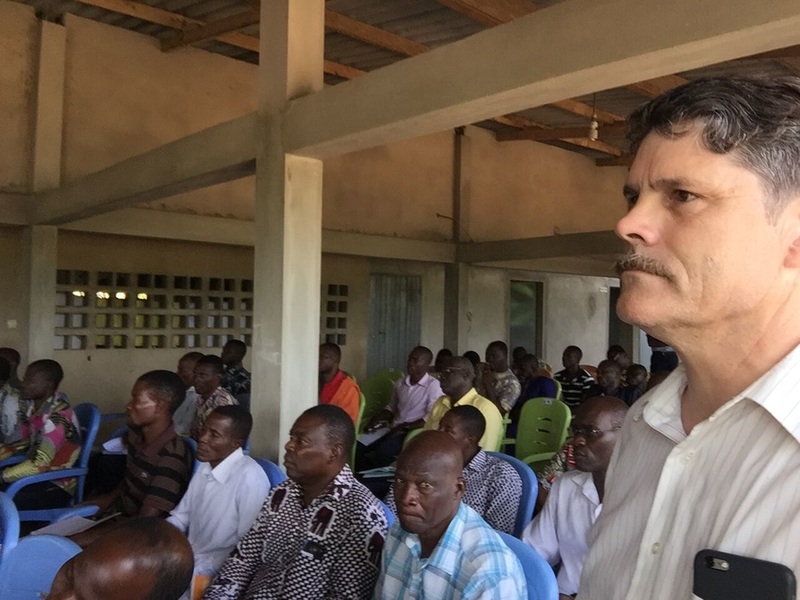 Our goals in Togo go way beyond just starting a translation project in the Ewe language. We have a plan to establish a translator training program as a part of that project. In Togo there are at least 9 languages that have no known scripture with a population of about 1,088,100. If we add in the surrounding countries of Ghana (west), Benin (east), and Burkina Faso (north), that increases to 80 groups of people with a population of 15-16 million. There are two current Bibles in the Ewe language. Both of them have many errors. The latest is a revision of the Old one and was championed by the Roman Catholic Church. Is it any wonder that the word “baptism” is translated “sprinkling?” The new one is worse than the old one. The natural childhood language of the pastor's is Ewe. There is a great deal of concern among them about the condition of the Bible they have in their heart language. We began the meetings on Tuesday October 4. Topics covered included the responsibility of the church to care for and spread the Word of God, the sufficiency of the Word, the inspiration and preservation of the Word, the identity of the true New Testament text, the fact that they can do translation because we can do all things through Christ, and principals of Bible translation. There were about 90 people who attended. 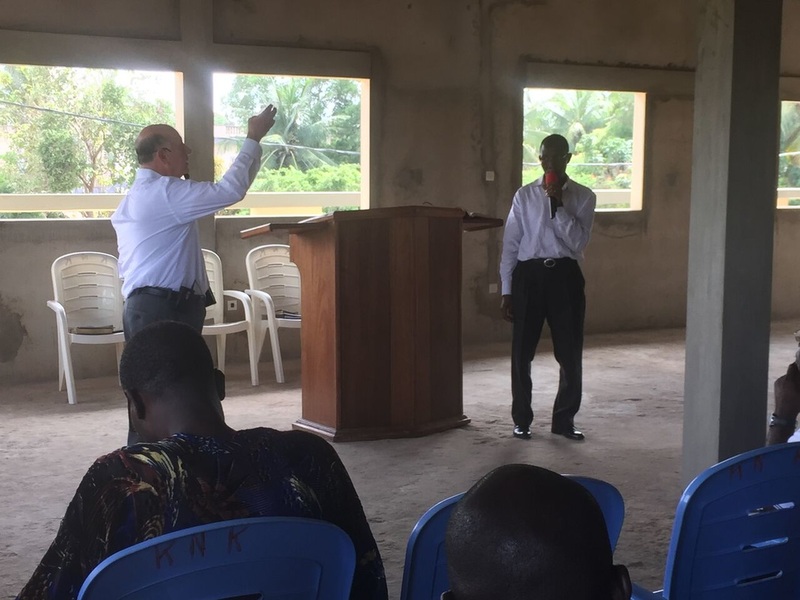 We understood that over 50 were pastors and the rest were Sunday school teachers and church leaders. I expected to find some very educated people among the Togolese Christians, but, I did not expect to find anyone who had studied New Testament Greek. We were happy to learn that there were at least two who had studied Greek. 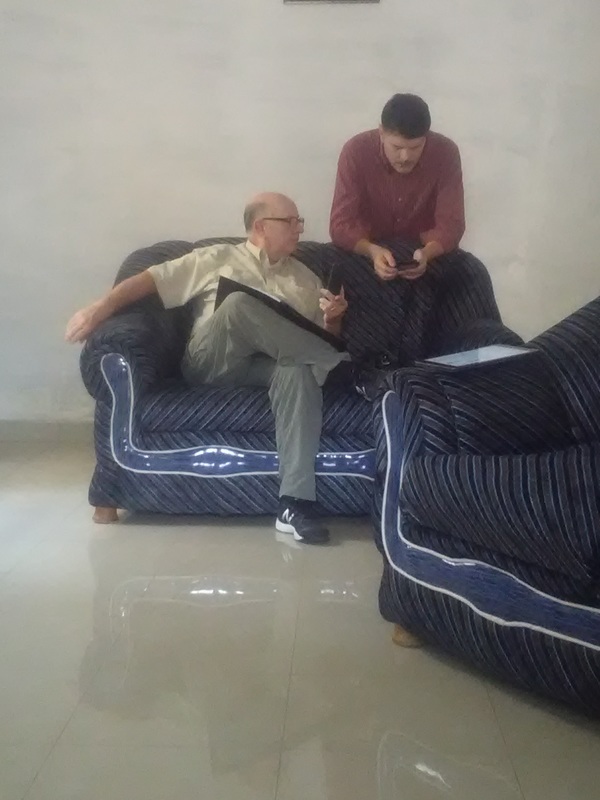 This is an important skill for Bible Translation work. In fact, the Togolese have all the talent, knowledge, skills, and spirituality needed to translate the Bible into their own heart language. I would describe the result of the conference as victory. Unfortunately, due to scheduling problems, Dr. Taylor had to leave early Thursday morning. Dr. Zeinner and Dr. Combs finished up the conference by lunch time that day. Dr. Zeinner was the last speaker. He issued an invitation and challenge to all the participants to commit to be involved in the Ewe Bible translation project. At least 16 raised their hands. Afterwards people made their way to two spots to put their names on a volunteer list. The foundation was laid for the immediate start of the translation project. The next steps include issuing a conference assessment along with recommended guidelines and ideas for organizing the new translation team and conducting the project. It was finished and returned the week of October 31, 2016. There will also be continued contact as they organize and get started. We plan to return soon and give them more in depth training. In the meantime, Pastor Mawouli is experienced in translating from English into French and can lead the team to a good beginning. 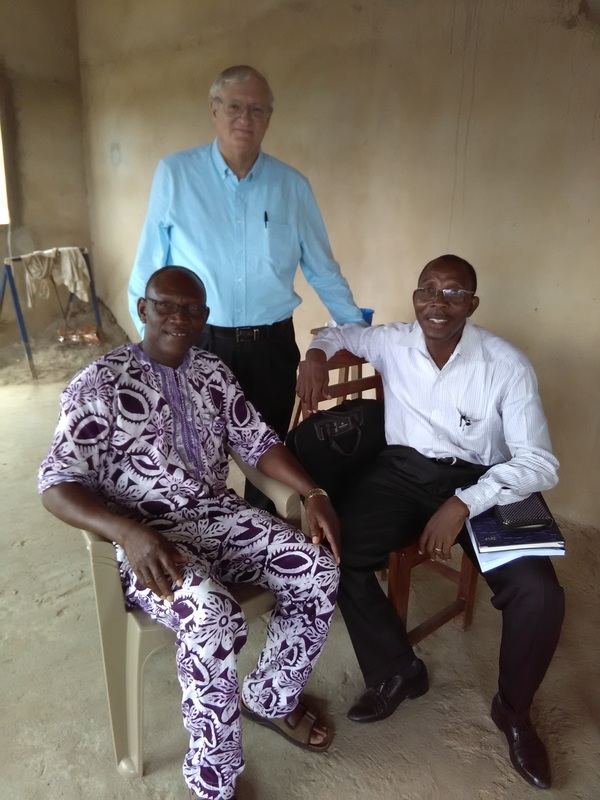 On March 15-16, 2018, Dr. Zeinner and Dr, Combs traveled to Togo once again. Their purpose was to do accuracy checking and testing on the new John and Romans translation, as well as give further translator training. See this report with photos here. They stayed at a guest house called Wycliffe-Togo. 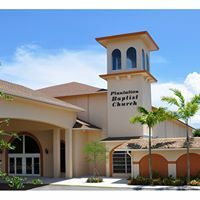 It was owned by Wycliffe Bible Translators at one time but is now owned by someone else. They never found out who. We arrived late on Friday, March 16, 2018. By the time we reached the guest house, there was not much time to talk. So, we went to bed. The next day we were up early. Pastor Mawouli brought breakfast (French bread, tea, milk, creamer, a coffee pot, cups and utensils-fortunately, I brought coffee). The previous evening, he had given us each a box of liter water bottles. Some were put in the refrigerator with which each room was equipped. I set the refrigerator somewhat higher and found them frozen in the morning. They had a productive Saturday morning talking about various issues with Pastor Mawouli. They left about 2 pm to get lunch. On Sunday they preached in the churches. Drs. 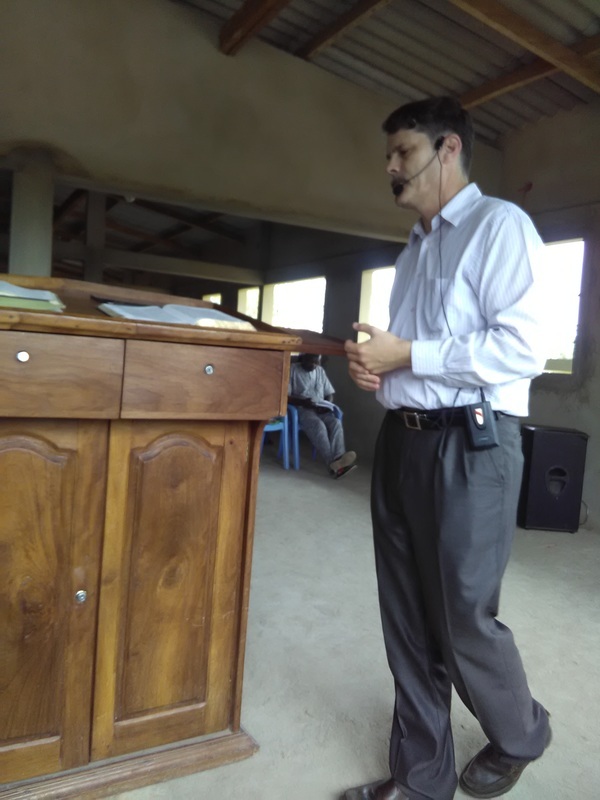 Zeinner and Combs preached in two different churches Sunday morning and Sunday evening. That was a total of four churches that day. They had fallen in love with the people the first time they came to Togo and it was no different this time. The people were kind, loving, and friendly. On Monday They met with the translators. First, Dr. Zeinner and Dr. Combs asked them a lot of questions about their activity and procedures. Then, they got to ask us as many questions as they wanted. Before they came, Dr. Combs asked a Togolese man in the States to make an Ewe to English translation of John and Romans. The group started to go over that on Monday afternoon and found it helped improve the translation. The group was able to use the Ewe to English to locate and correct a number of issues in the translation. Combs and Zeinner had a whole program planned for Tuesday and Wednesday, but the lead translator told them to finish discussing the Ewe to English translation instead. We continued checking key verses on Tuesday and Wednesday. On Tuesday we finished the verses in the Book of John. On Wednesday, we went over Romans. It has made a very significant contribution toward producing an accurate and true translation of John and Romans in Ewe. It was a very interesting time, because the meetings were conducted in several languages: Ewe, French, English, and New Testament Greek (and, just for fun, we threw in a little Spanish and German). Monday through Wednesday, Dr. Zeinner spoke effectively several times to the group. The ladies present provided us with very good lunches. On Wednesday evening, we preached once again. Thursday was preparation to return to the States. We flew out in the evening. We arrived back in the US on Friday, March 22, about 5:40 pm. The future holds some exciting things. We completed the accuracy check of a large number of key verses in John and Romans. The translation has been very well done. As with all translations, the first draft needed correction. Now the translators will continue to correct the remaining verses. They plan a retreat on April 9 for several days so they can give concentrated time to that task. Please pray for them that they can finish before the end of May. After that, the type setting will be done in preparation for printing. Then, we plan to print and ship 200,000 copies of an Ewe/French John/Romans for the churches here to use in evangelism. We also plan to print and ship 2500 whole French Bibles. Pray for the successful conclusion of this plan.